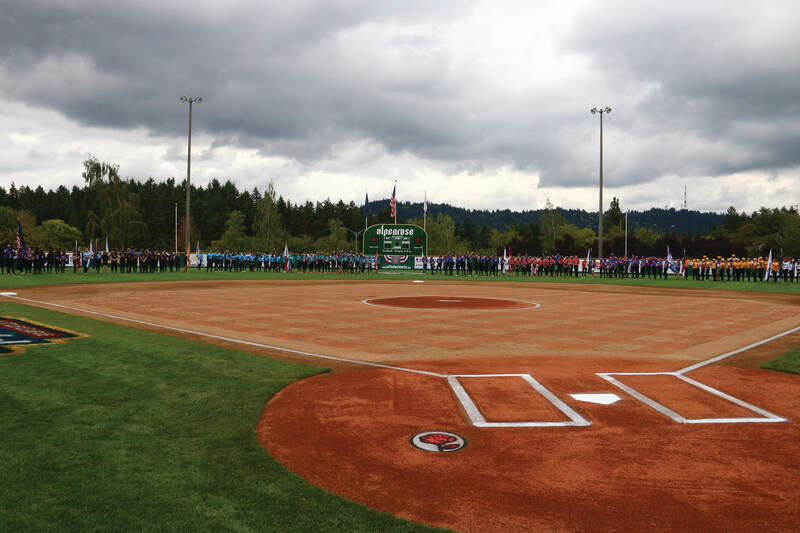 This August, Little League Softball® celebrates its 25th year of World Series championships at Alpenrose Stadium in Portland, Ore. Since 1891 when family patriarch Florian Cadonau first began delivering milk from his dairy farm just southwest of downtown Portland, Ore., the Alpenrose Dairy Farm has grown into a community institution. In 1916, Mr. Cadonau’s son married the daughter of the Swiss consul, and they changed the name of the family farm to Alpenrose, after Switzerland’s national flower. In the late 1950s, Mr. Cadonau added baseball fields to the farm’s grounds for his grandchildren. Soon after, local Little League® programs were welcomed to the facility. Decades later, in 1994, the Little League Softball World Series called Alpenrose home for the first time. Today, of Little League’s seven World Series tournaments, only the Little League Baseball® World Series in Williamsport; and the Junior League Baseball World Series in Taylor, Mich., have longer tenures at their respective locations. Alpenrose Dairy Farm continues to be owned and operated by the Cadonau Family to this day. Thanks to its dedication and support of the Little League organization and the Portland community, Little League International recognized the Cadonaus with the 2018 Little League Chairman’s Award at the 27th Little League International Congress in New Orleans this past January. Established in 2007, the Little League Chairman’s Award recognizes contribution and dedicated service to Little League Baseball and Softball. In 2001, ESPN2 televised the Little League Softball World Series championship for the first time and since then, coverage of the Little League Softball World Series has continued to expand with the entire tournament being broadcast on ESPN+ and the ESPN Family of Networks for the first time this year. While Howard J. Lamade Stadium has become an icon to Little League Baseball players, Alpenrose has become an iconic home for Little League Softball players.